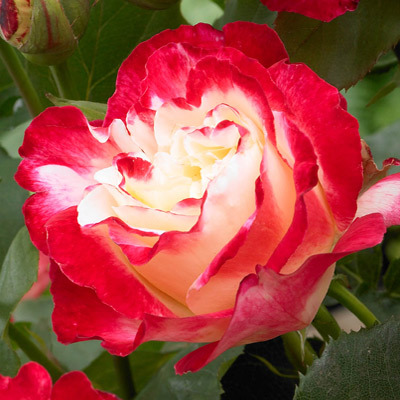 Few Hybrid Tea Rose varieties have the drama and character of the vivid and statuesque Rose Double Delight. 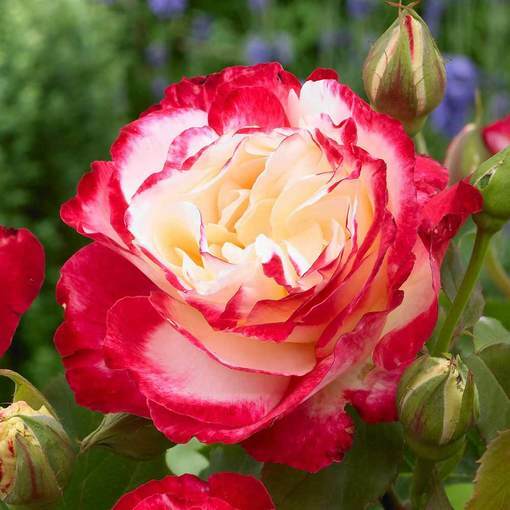 This exquisite specimen produces large, fragrant, bi-coloured flower heads of creamy white, flushed at their edges with boisterous cherry red. 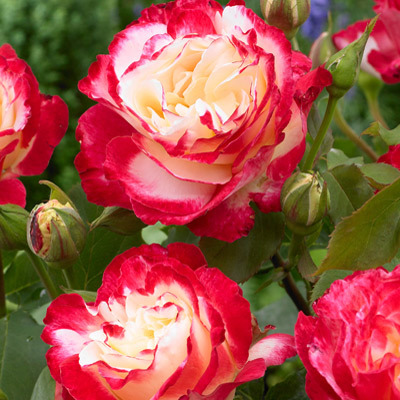 As with all scented flowering roses, we recommend planting the Double Delight rose bush close to a path or patio where its delicate aroma can be fully appreciated. 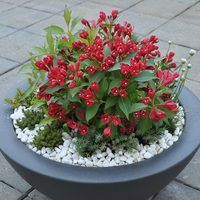 For best results, plant in full sunlight in the border or a container, where the red edges of the petals will become deeper and richer. 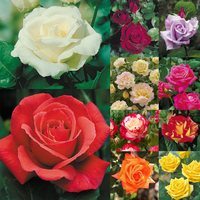 We supply only top quality rose bushes, bare rooted and wrapped to prevent the roots drying out. 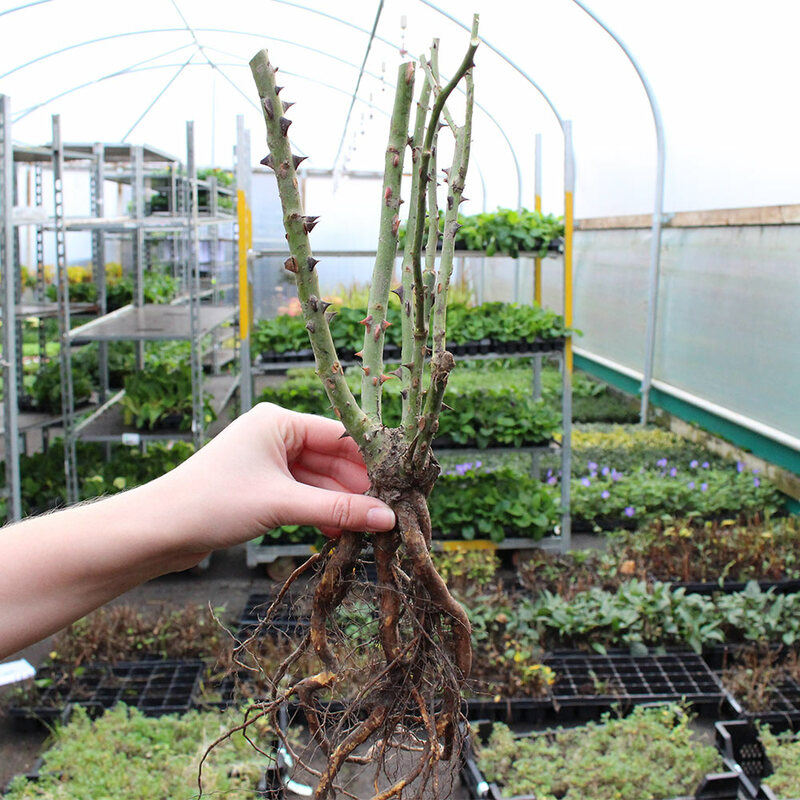 These are then pruned back and ready to be planted on arrival. A firm favourite of British florists as well as gardeners, this stunning white rose also makes a striking cut flower which can be enjoyed as an addition to the bouquet or vase. 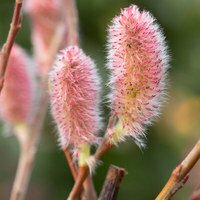 We recommend that, instead deadheading in late winter or early spring, simply cut the stems in bud and admire the blooms indoors instead. Soil Type Fertile, humus rich and well drained soil. 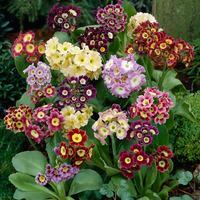 Fertile, humus rich and well drained soil.